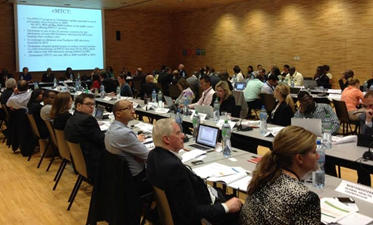 From 16-17 June 2014, in Geneva, Switzerland, UNAIDS hosted a consultative meeting, “Towards a Final Target for HIV Treatment: The Role of Laboratory Medicine,” in collaboration with ASLM and the World Health Organization (WHO). The meeting convened over 100 stakeholders to review the current status of HIV diagnosis and monitoring, share country experiences and innovations in laboratory monitoring, and set the foundation for more accessible and efficient laboratory systems, particularly in low- and middle-income settings. At the meeting, participants led presentations and group discussions on the HIV diagnostics technology pipeline, the expansion of access to HIV viral load, the current capacity-building needs of HIV laboratories in low-resource settings, and current research and development priorities for HIV/AIDS. A month later, building on the principles established in the June meeting, ASLM helped to launch the Diagnostics Access Initiative at the AIDS 2014 international conference in Melbourne, Australia, in partnership with UNAIDS, WHO, the Clinton Health Access Initiative (CHAI), the United Nations Children’s Fund (UNICEF), and the US President’s Emergency Plan for AIDS Relief (PEPFAR). 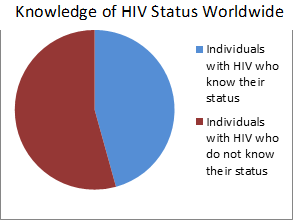 The initiative calls for the improvement of laboratory capacity to ensure that people living with HIV are connected to effective, high-quality HIV diagnostic and treatment services, with the specific goal of assuring that 90% of all people living with HIV know their HIV status, 90% of all people with diagnosed HIV infection receive sustained antiretroviral therapy, and 90% of all people receiving antiretroviral therapy have achieved durable viral suppression.. The initiative also aims to improve early infant diagnosis and guarantee that people on HIV treatment have access to tests monitoring their viral levels. 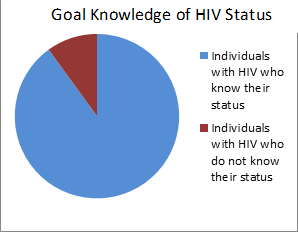 One of the Diagnostic Access Initiative’s goals is to achieve awareness of HIV status for 90% of all individuals living with HIV.